Tourists who carried a baby fawn in their arms to a Grand Canyon ranger provoked an unusual reaction - the frustrated ranger burst into tears. 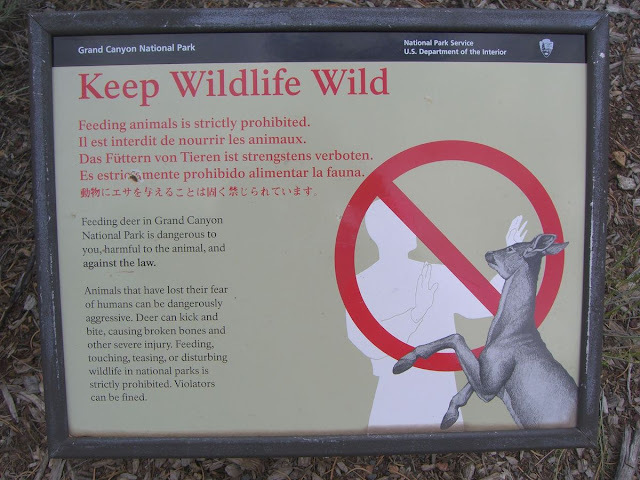 Ranger Della Yurcik was manning the Phantom Ranch Ranger Station last Thursday at noon, with temperatures hovering at 110 degrees, when a tourist couple showed up with a leggy fawn wrapped in a T-shirt, according to The Arizona Daily Sun. Worried that the fawn would suffer the same fate as the bison calf who was euthanised after a family visiting Yellowstone National Park in May loaded it into its car thinking it needed help, the ranger said seeing the young fawn made her cry. Luckily, this story had a better ending than the bison calf story. Rangers returned the fawn to her habitat and kept an eye on her, eventually seeing her mother return to her that evening. They have since spotted mama and baby going on about their lives. Yurick says she will issue the couple a citation. The punishment could be up to six months in jail or five years probation and/or a $5000 fine. The ranger wants visitors to leave the wildlife alone, but she also understands that sometimes people just can't help themselves. 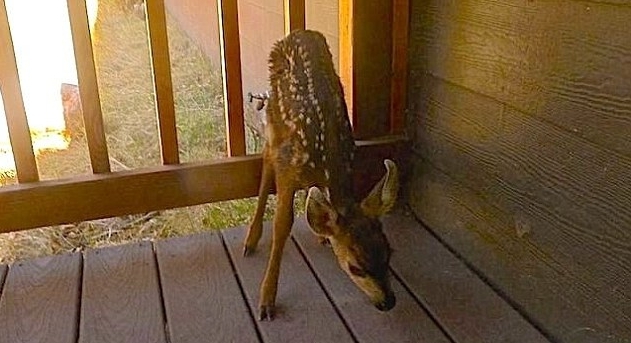 Responses to "Tourists "rescue" a newborn fawn because it looked abandoned (Mother was nearby)"